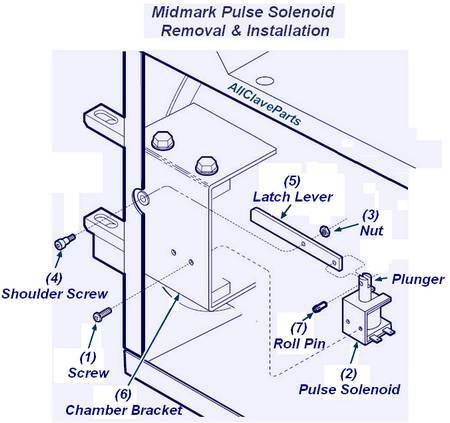 How Does The Pulse Solenoid Work? What Are The Symptoms Of A Defective Pulse Solenoid? Remove nut (3) and shoulder screw (4), and then remove pulse solenoid (2) and latch lever (5) as an assembly from Chamber bracket (6). NOTE: The holes for the two screws (1) are oblong. Install screws at the top of each hole first, then adjust downward as necessary if door will not open.